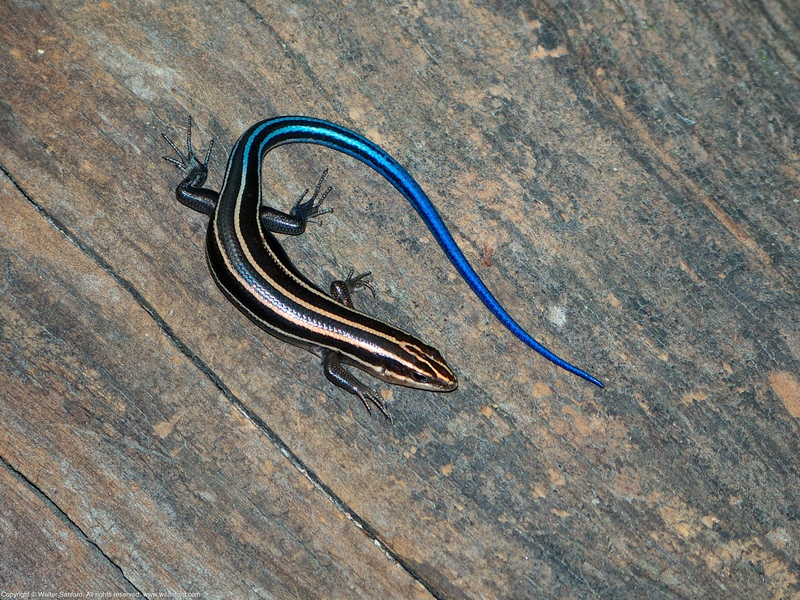 A Common Five-lined Skink (Plestiodon fasciatus) was spotted during a photowalk at Occoquan Regional Park, Fairfax County, Virginia USA. 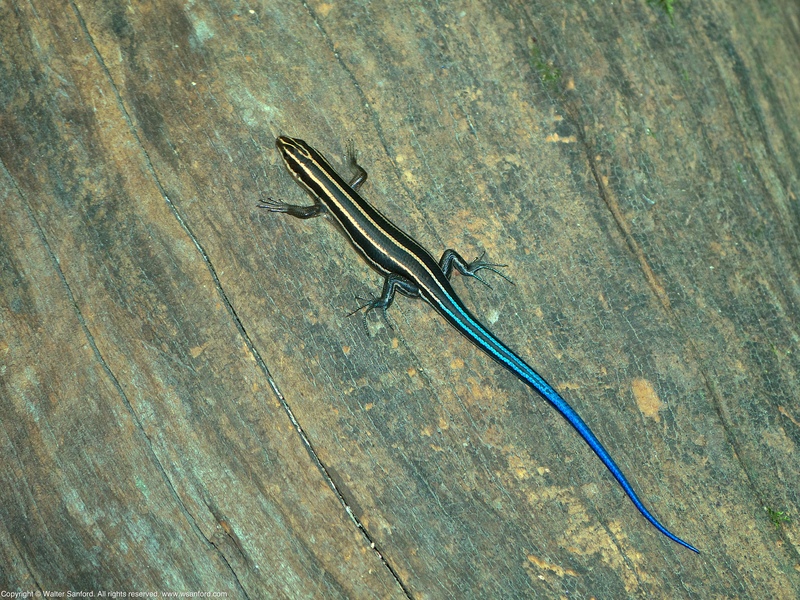 This individual is a juvenile as indicated by its dark brown color and bright blue tail. This entry was posted on November 9, 2018 at 4:00 am and is filed under Aperture, Canon 580EX Speedlite, digital photography, natural science, Panasonic DMC-FZ150, photowalking, reptiles, wildlife photography. You can follow any responses to this entry through the RSS 2.0 feed. You can leave a response, or trackback from your own site.